Daikon (Japanese radish), radishes, Sweet onions (Vidalia), potatoes, freshly sliced ginger, aburaage (thinly cut, deep fried tofu slices) or a second meat. Spicy food lovers can add in Kimchi and Doubanjiang (Spicy bean paste) as well! Prepare all of your vegetables by washing, peeling and then chopping them into bite sized pieces. Mince the garlic for the dish and set to the side. Pour the water into a low, wide-set pot. A normal pot will work just as fine. Add in all of the ingredients for the soup base, stirring constantly until all of the miso paste has dissolved. When everything is cooked through, turn off the heat and stir in the minced garlic from Step 1. I hope that you can enjoy making this dish with your family or friends. It’s perfect for the Fall or Winter. Should you decide to be more adventurous, a good seafood combination would be Shrimp and Scallops. A ½ cup of each would suffice. Be sure to de-vein the shrimp first. 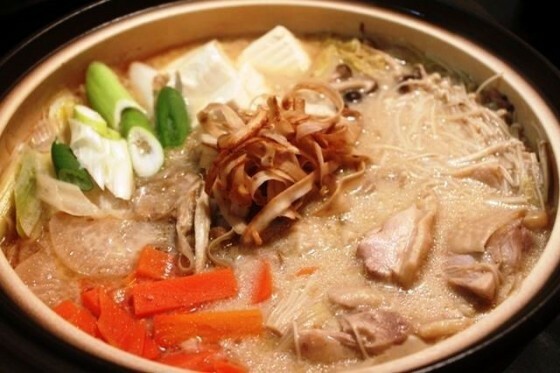 Nabe is also great if you have a cold. The broth will do wonders if your throat hurts or you’re just not super hungry. 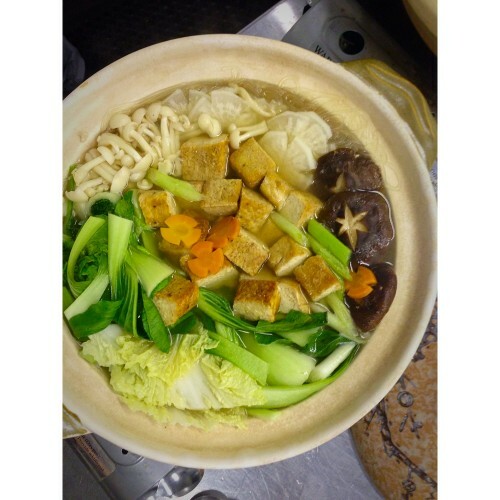 Nabe will also Stay fresh for a few days afterwards, so it’s great to reheat and enjoy!